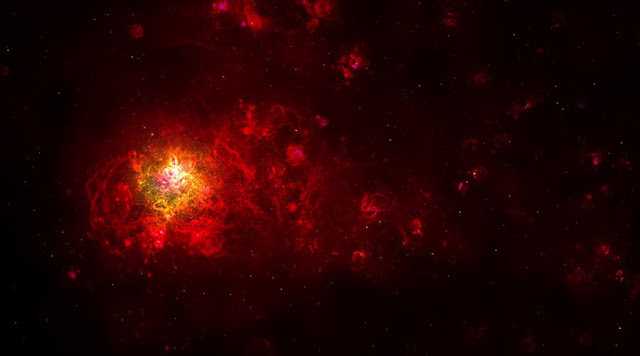 Just few days ago astronomers claimed to have to discover a Pulsar, PSR J0540-6919, which lies outside the Tarantula Nebula in the Large Magellanic Cloud nearly 163,000 light-years away. Pulsars are neutron stars, remnants from supernova detonations. The swiftly spinning magnetic field of the tremendously dense star core emits rays of radio waves, visible light, X-rays and gamma rays. The important thing about J0540 was that it spins just under 20 times per second, according to data acquired by the Fermi probe. Another rare characteristic of the J0540 is its age: The pulsar is approximately 1,700 years old, whereas most of the other 2,500 known pulsars are calculated to be ranged in age between 10,000 and hundreds of millions of years. News about the discovery of Pulsar J0540 came on the heels of the announcements of two planetary findings much closer to our solar system. By means of an array of 40-meter telescopes at the Cerro-Tololo Inter-American Observatory located in Chile, astronomers discovered a Venus-like planet only 39 light-years away. The planet circles Gliese 1132, an M-class red dwarf star located in the Vela constellation. The star is merely 21 percent the size of our sun, and produces only one-half a percent as much light, which allowed the astronomers to spot a planetary transit. Well this is not it yet, another astounding discovery this week came from a terrestrial telescope located high up on Hawaii’s dormant volcano Mauna Kea. A group of astronomers working at the Subaru telescope spotted an icy dwarf planet orbiting on the external edge of our solar system. An icy body 500-1000 km wide, the V774104 is 9.6 billion miles (15.4 billion kilometers) from the Sun. According to the astronomers this is one of the most important planet discovered so far.